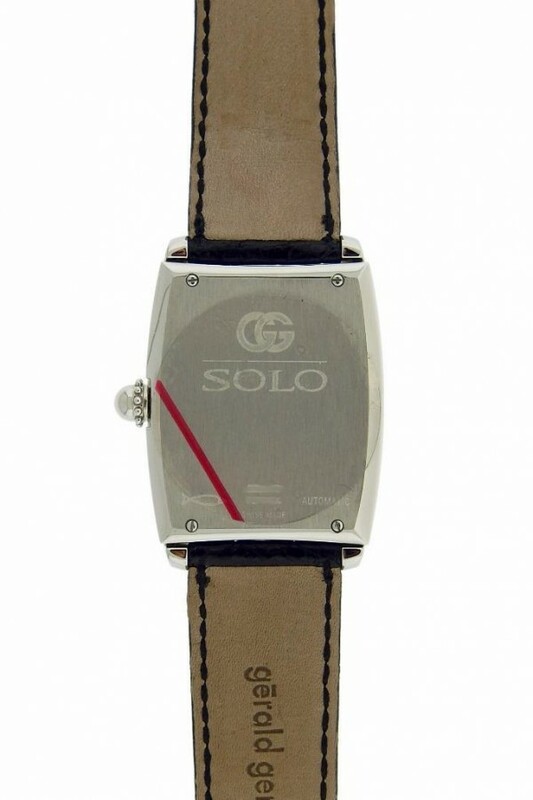 Own this beautiful Gerald Genra Solo watch and enjoy this classic timepiece. Watch runs on automatic movement. 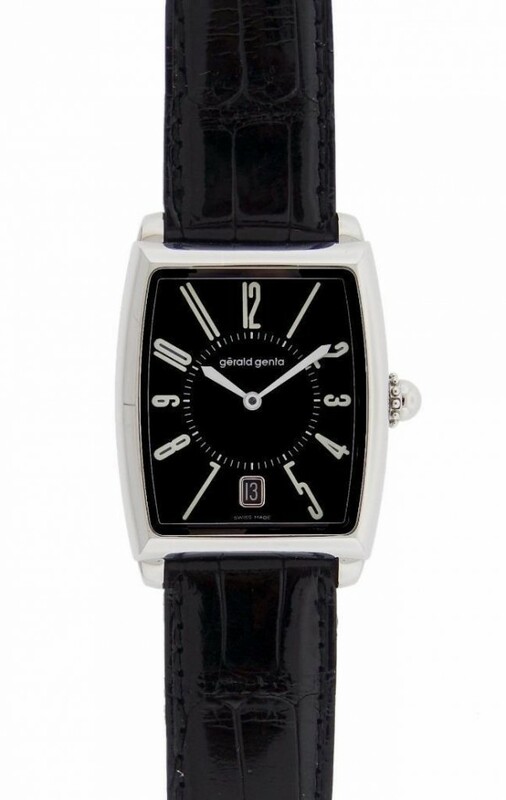 Watch displays Black Dial with Arabic numerals and Date at 3 O Clock. Watch is in excellent condition and comes with box and papers. Watch makes a great gift. Wear it in great health. Excellent pre-owned condition with absolutely no defects, all boxes, papers Gerald Genta Automatic Solo Dress Watch.